Remember the time when owning a smartphone meant that you have to constantly charge it at the end of the day because its power runs out? This was a couple of years ago when the battery capacities on these devices were still not that large. 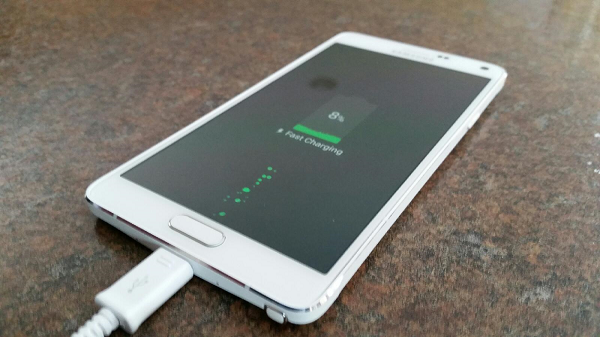 Today, with models like the #Samsung Galaxy #Note4 and its 3220mAh battery owners don’t need to constantly charge their devices. Although we may take charging a device for granted since it is such an easy procedure there are times when problems may arise. This and other related issues are what we will tackle in this latest installment of our troubleshooting series. Problem: I have bought galaxy note 4 couple months ago. However, after I updated the last software my phone does not charge anymore >>> what’s the solution I restored my phone twice but I still have the same problem? Solution: This issue may not be caused by your phone software which is why restoring your phone did not resolve the issue. Start the troubleshooting by replacing the USB cord you are using in charging your phone. These cords usually gets damaged easily and you won’t even suspect that it is already damaged unless you replace it. You should also try to use a different wall charger in charging your phone. Next, check the charging port of your phone for any signs of dirt or lint. This usually interferes with the charging process. Clean the port if necessary using compressed air or a cotton bud dipped in alcohol. Try to get a new battery and replace the on your phone is using. If the problem still persists at this point then you should bring your phone to an authorized service center and have it checked as this may already be caused by a faulty hardware. Problem: my phone was charging very well and android version is 5.0.1 …I don’t think it’s any bug related to software because I am running this version for 2 months now …today I noticed when I plugged in charger …phone was detecting it very late and then stopped charging after a short while…… few minutes later it was charging again and reached from 33% to 53% and stopped charging….. it wasn’t charging for 10 minutes and started to charge again for a short while…. I checked 4 different chargers and all have same issues and my current charger works fine on other devices… I also wiped caches …. and I noticed that there was error like power sharing and battery is discharging . any solution ? Solution: Try checking your phone charging port if there is any presence of dirt or lint. These particles have been known to interfere with the charging process. Clean the port if necessary using a can of compressed air or cotton bud dipped in alcohol. You should also try to replace your phone battery with a new one if the issue still persists. Your old battery may already be the reason why this issue is happening. If after replacing your battery the issue still persists then back up your phone data and do a factory reset. This allows you to eliminate any software related problems that is causing the issue. If after performing a factory reset the problem still remains then you should bring your phone to an authorized service center and have it checked. Solution: If your phone charges normally with the fast charger then the issue may be caused by either the tylt vu charger or the s view flip cover that your phone is using. The best way to test this is to go to the store where you bought the accessories and have it checked on another Note 4. Before going to the store though you can always perform a factory reset on your phone to check if the problem is caused by a glitch in your phone software. Just make sure to back up your phone data before proceeding.